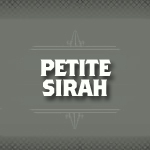 Petite Sirah is a name given to the Durif red wine grape variety grown in the U.S. and Israel. The United States ATF recognizes Durif and Petite Sirah to be synonyms of the same grape. In addition to the United States the grape can be found in Israel, Mexico, South America and Australia. Petite Sirah produces a dark inky colored wine with notes of blue fruit and black fruit with herbal and peppery overtones.